in a 1-day Intensive Training! to “Jump Start” your business! Attend a live in-person or a live internet intensive 1-Day Life Coach Training and Certification. See the list of trainings taking place at various cities across the country. 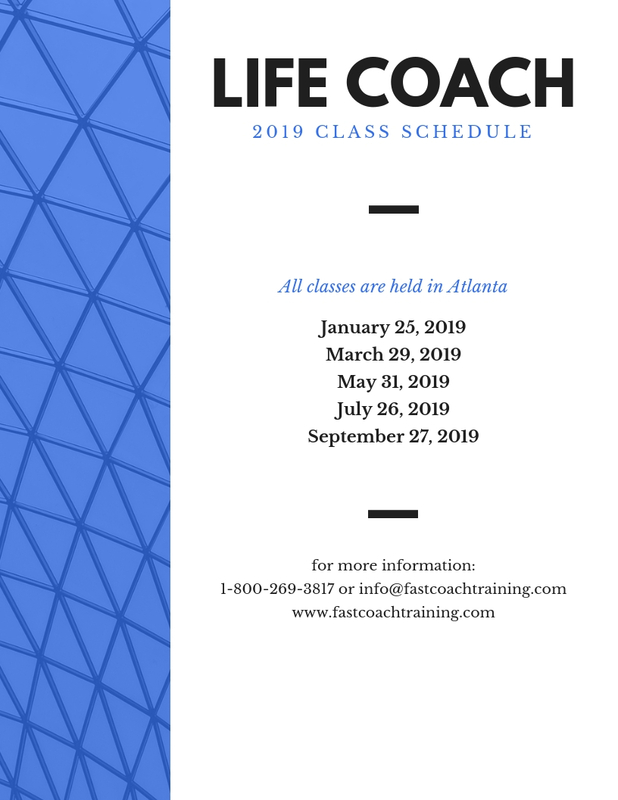 The 1-day training is generally 10:00AM – 7:00PM including a 1-hour lunch break.If you don’t have the time (or funds) to travel to one of our training locations, consider participating in the 1-Day Live Internet Life Coach Training and Certification. It is completely interactive (You can ask questions, share thoughts, participate in coaching exercises, etc.) and you don’t have to leave the comfort of your computer. The investment for our course is only $599. OUR UNUSUAL GUARANTEE TO YOU: If you try us out at one of our trainings, and you aren’t 100% blown away at the end of the training (not just happy or inspired, but blown away! ), you can receive every penny back in a refund–Guaranteed. Join us at one of our live trainings or from the comfort of your own computer from Anywhere in the World (1-Day Live Internet) are simultaneously broadcast. Due to the limited number of participants accepted in each Fast Coach Training Program, our policy is no refunds or cancellations are allowed and all sales are final! This course is an amazing experience for the select few. All applications are reviewed for final acceptance. Get ready to have one of the most amazing days of your life! Dates and locations may change. Please check back often for current updates.